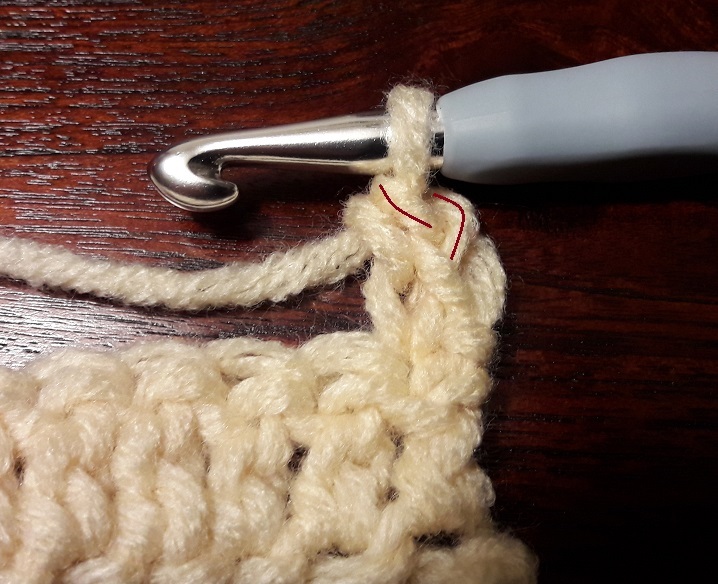 Instead of making 3 chain stitches at the start of a new row, which will count as a ‘starting double crochet’, you can also use another way of making a ‘starting double crochet’ by making two single crochets (SC) on top of each other. 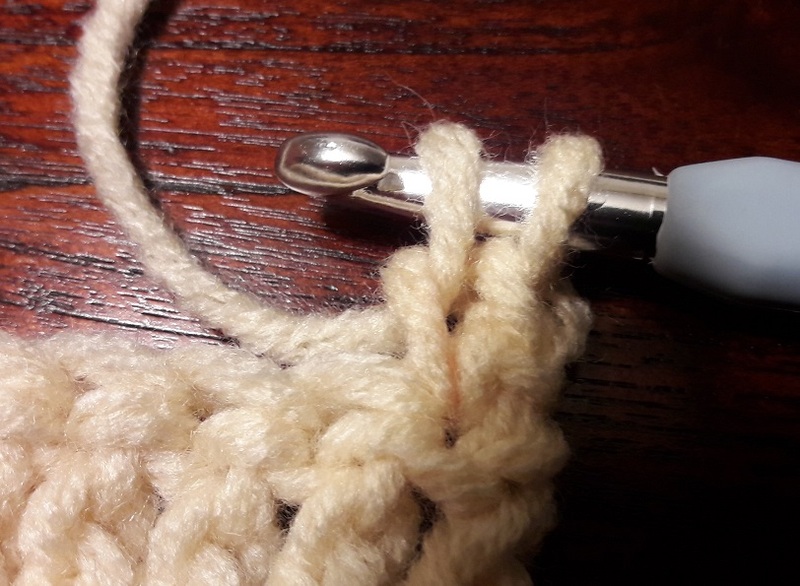 This makes a bit thicker double crochet (DC), which will also take care of filling the gap that you will get when using 3 chain stitches as a starting DC. That makes it look a bit more neat. 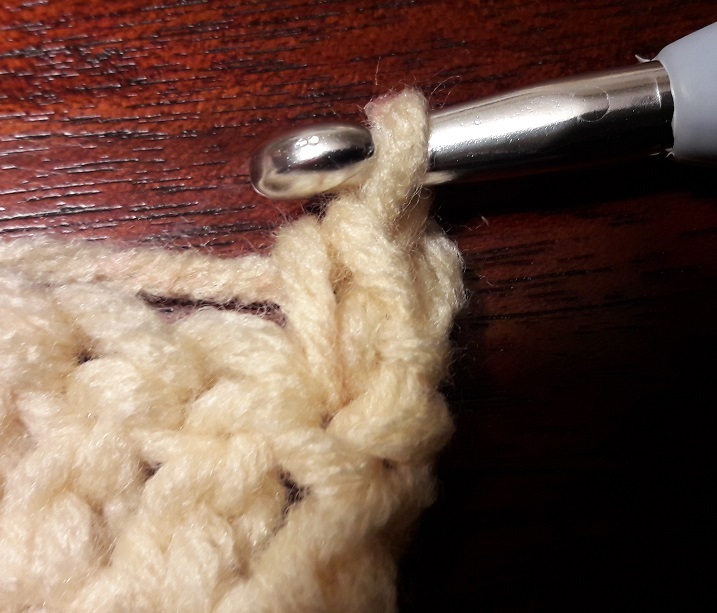 This starting DC is also better positioned above the last stitch of the previous row, which will make the sides look much more neat and straight. When starting a new row, you turn your work. Now don’t make chain stitches for turning! I made a circle around the last stitch of the previous row, this is the place where you will do your first single crochet. Now insert your hook into this stitch. Just like usual, under the two legs of the V-shape of the stitch. 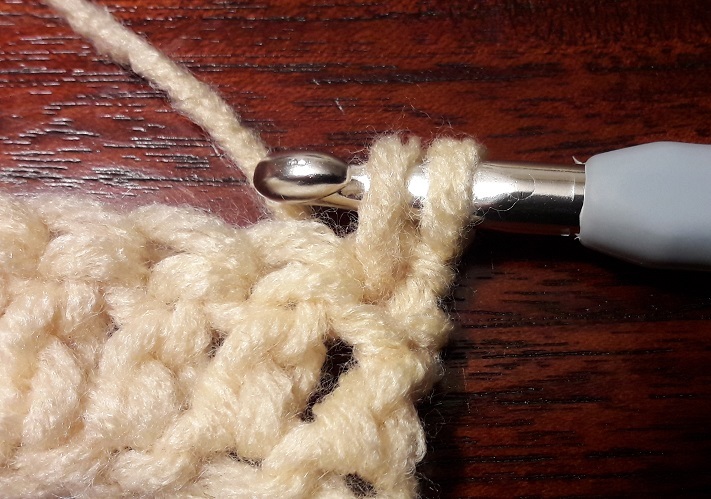 Wrap the yarn around the needle and pull it through. The first part of the first or lower single crochet is made. Now make a second wrap and pull it through the two loops on your hook. 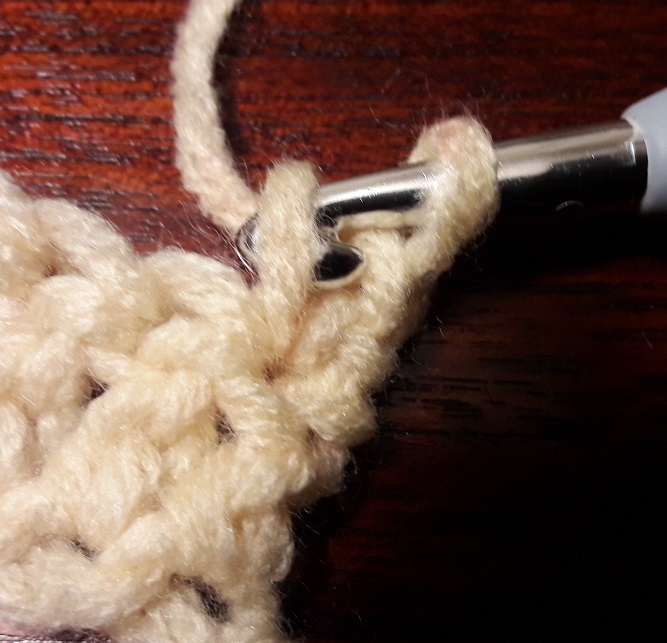 The second part of the first or lower single crochet is made. 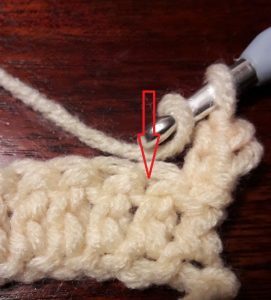 You now see a loop on the left side of the single crochet. Insert your needle into that loop to make the second or upper single crochet. You wrap the yarn around the needle and pull it through. The first part of the second or upper single crochet is made now. Make another wrap and pull it through both loops on your hook. The second part of the second or upper single crochet is made. 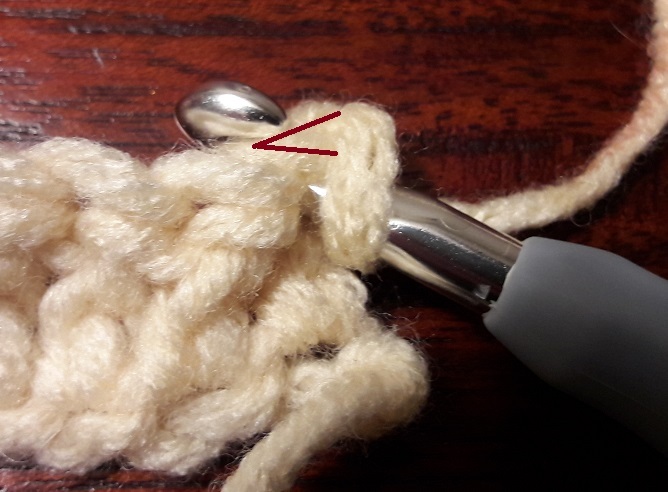 In the last picture I marked the V-shape, the top of the second single crochet with red. This is the top of your starting double crochet, and when counting your stitches this is your first stitch. In this picture you can see where to make the second stitch. If you have to make an increase in the first stitch, you will insert your hook in the same stitch where you did your first single crochet. 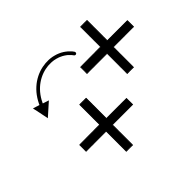 In my patterns I use the next two symbols, depending on the way the row goes. The stitch is always made the same way of course. 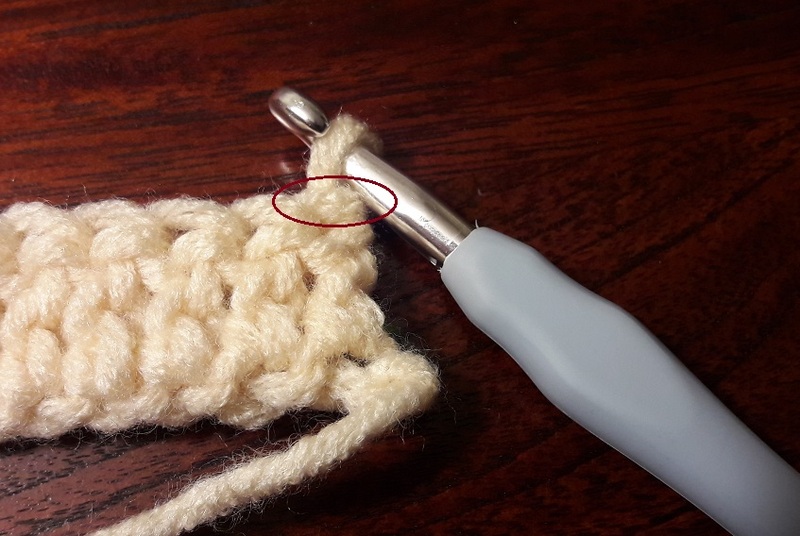 In this video I used this way of making this starting double crochet. At the start (skip to 0:30) I added a short tutorial how to do this stitch, so watch that if you want. English subtitles are available.